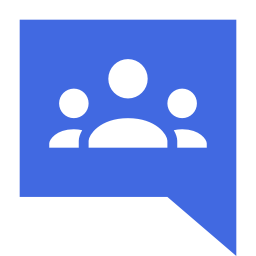 SOD-Embedded Group is the official mailing-list & discussion group hosted on Google Groups. You can post general and technical questions on using and troubleshooting SOD via your email or directly in the forum once you sign-up. You can also chat directly with the developers and members of the community on Gitter. If you want to report a bug, please use the Github issue system. When reporting a bug, you should include all information that will help us understand what's wrong, what you expected to happen and how to repeat the bad behavior. You therefore need to tell us your operating system's name and version number, SOD version, compile-time options such as if threading support is enabled and so forth. If you want to involve in the development process including writing binding for a foreign programming language, feel free to submit your contribution directly to the SOD Github repository via pull requests. Professional & dedicated support directly from the original SOD developers is available through the PixLab console for those who purchased a Commercial SOD License or subscribed to the Annual Maintenance Subscription. Simply connect to your PixLab dashboard and request support from there. Source code, pre-trained models, extensions such as multi-core CPU support plus all SOD related resources are all available to download from the official download page at pixlab.io/downloads. For all your legal, licensing or any other general inquiries, please email us directly at contact@symisc.net or legal@symisc.net. Please do not request technical support. Your query will not be answered. Use the official support channels for that.